I don’t believe you need to be Irish to celebrate St.Patrick’s Day! And while I am not a big fan of green beer, I do like to add a little green to the menu that day. Anyone who knows me well, knows that I love homemade ice cream. My Lavender Honey Ice Cream is requested by all of my husband’s co-workers when he hosts his annual golf day and barbecue. Who would have thought a bunch of men would be requsting lavender flavoured ice cream? 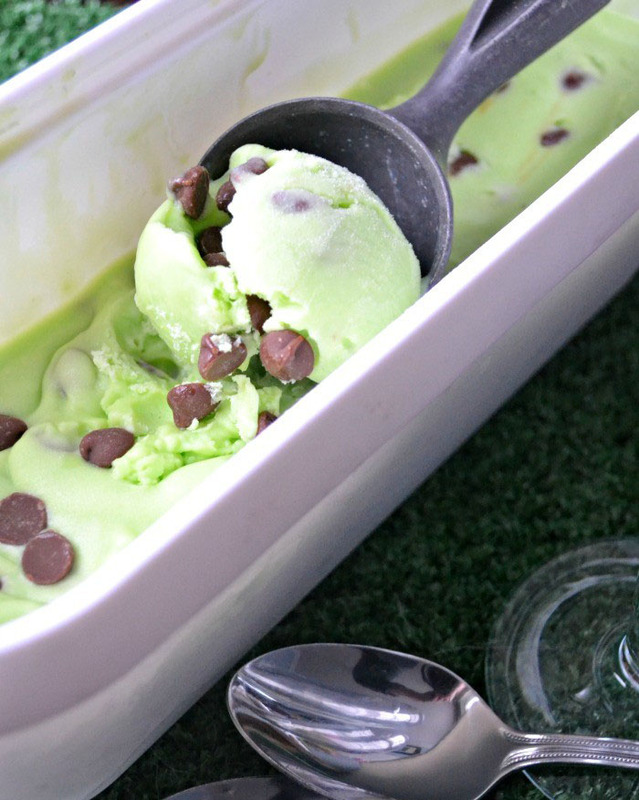 When it comes time to break out the green, what better way than with homemade Mint Chocolate Chip Ice Cream? 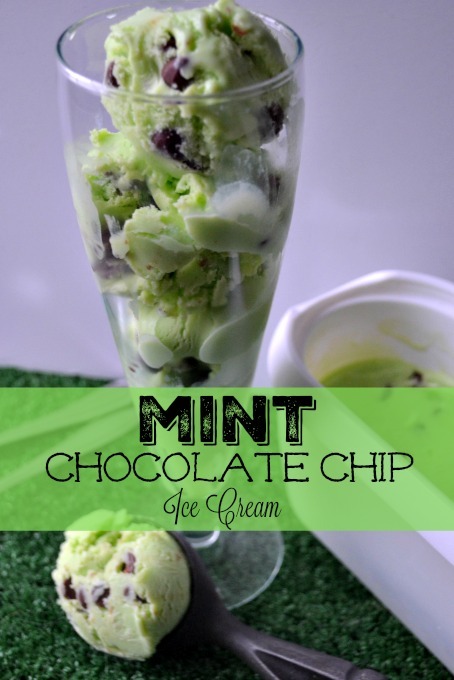 A little bit of green food colouring makes for a nice vibrant “touch of Irish”, while pure peppermint extract and chocolate chips make it irresistible. Heavy cream and whole milk make for a smooth custard base that is rich in flavour and creamy smooth in texture. I love my Cuisnart ice cream maker that resides on my counter top from spring til fall. It came with two freezer bowls so I always have one at the ready. 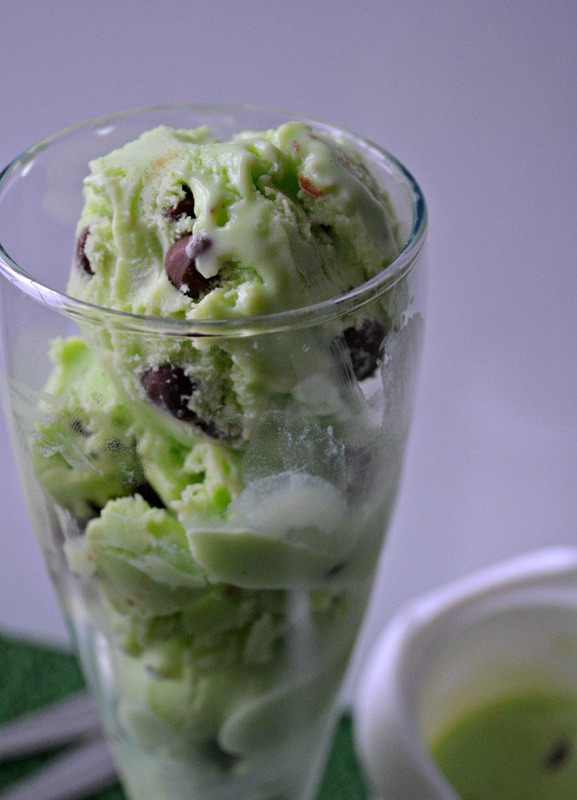 And while these beer glasses might see a can or two of Guiness on St.Patty’s day, they sure do work nicely to hold a few scoops of this delightful green dessert. How do you celebrate St.Patrick’s Day? Do share!